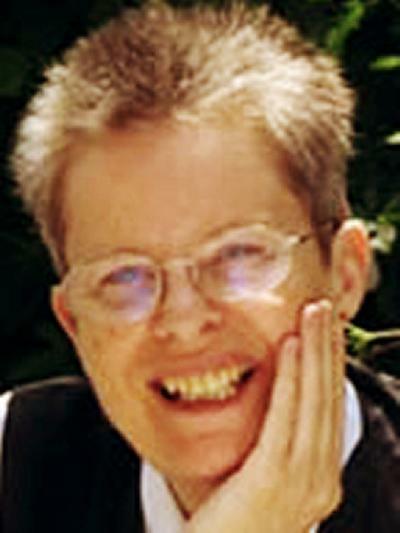 Professor Bella Millett is a Professor emeritus of English at the University of Southampton. BA (Oxon) in English literature, 1967; BPhil (Oxon) in medieval English literature, 1969; DPhil (Oxon) 1977. I came to English at Southampton as an assistant lecturer in 1969; I became a Reader in 1991, and a Professor in 2008. I retired from the University in September 2014, but maintain a connection with it as an emeritus professor, and continue to carry out research. I have spent much of my professional life working on the early 13th century West Midlands group of religious prose works whose main representative is Ancrene Wisse, a vernacular rule for women recluses which has been described as 'the major work of early Middle English prose'. I have produced editions of several of the works of the group, most recently a two-volume edition of Ancrene Wisse for the Early English Text Society, accompanied by an annotated translation published by Exeter University Press. In the past few years my research into the pastoral background of the Ancrene Wisse Group has developed in new directions, and I have been exploring the relatively under-researched relationship of English vernacular preaching in the late 12th and early 13th centuries to contemporary Continental models. I am currently working on an edition of two Middle English sermon-collections from this period, the 'Trinity Homilies' and the 'Lambeth Homilies', for the Early English Text Society. I am a member of the Centre for Medieval and Renaissance Culture at Southampton. My main interests are in medieval English literature, particularly devotional writings and the literature of preaching, and in the place of England in the new developments in preaching and pastoral care which took place in the late twelfth and early thirteenth centuries. I have a particular interest in editing, and especially the problems raised by those medieval works which cannot be dealt with by traditional editing methods. I am currently working on an edition of two Middle English sermon-collections from the period around 1200, the 'Trinity Homilies' and the 'Lambeth Homilies', for the Early English Text Society. The aim will be partly to provide a usable modern edition of these homilies (which have not been fully edited since the nineteenth century), partly to place them more firmly within the history of English preaching, investigating their relationship to both native and Continental preaching traditions. Millett, B. (2003). Wessex Parallel Web Texts: developing an online tutorial. Final report. English Subject Centre Newsletter, (6), 5-6. Millett, B. (2002). Ancrene Wisse and the life of perfection. Leeds Studies in English, 33, 53-76. Millett, B. (1995). The songs of entertainers and the songs of the angels: vernacular lyric fragments in Odo of Cheriton's "Sermones de festis". Medium Aevum, 64, 17-36. Millett, B. (1994). How green is the Green Knight? Nottingham Medieval Studies, XXXVIII, 138-151. Millett, B. (1992). The origins of Ancrene Wisse: new answers, new questions. Medium Aevum, 61, 206-228. Millett, B. (1990). The audience of the saints' lives of the Katherine Group. [In special issue: Saints and Saints' Lives - Essays in Honour of D.H. Farmer]. Reading Medieval Studies, XVI, 127-156. Millett, B. (1990). The textual transmission of 'Seinte Iuliene'. Medium Aevum, 59, 41-54. Millett, B. (1988). The saints' lives of the Katherine Group and the alliterative tradition. Journal of English and Germanic Philology, 87, 16-34. Millett, B. (2009). Ancrene Wisse: guide for Anchoresses (a translation). (Exeter Medieval Texts and Studies). Exeter, UK: University of Exeter. Millett, B. (Ed.) (2006). Ancrene Wisse volume 2: a corrected edition of the text in Cambridge, Corpus Christi College MS 402, with variants from other manuscripts. (Early English Text Society Original Series; Vol. 326). Oxford, UK: Oxford University Press. Millett, B. (Ed.) (2005). Ancrene Wisse volume 1: a corrected edition of the text in Cambridge, Corpus Christi College, 402, with variants from other manuscripts. (Early English Text Society Original Series; Vol. 325). Oxford, UK: Oxford University Press. Millett, B. (1996). Ancrene Wisse, the Katherine Group, and the Wooing Group. (Annotated Bibliographies of Old and Middle English Literature; Vol. 2). Cambridge, UK: Boydell and Brewer. Millett, B., & Wogan-Browne, J. (Eds.) (1992). Medieval English prose for women: selections from the Katherine Group and Ancrene Wisse. (Clarendon Paperbacks). Oxford, UK: Clarendon Press. Millett, B. (Ed.) (1982). Hali Meithhad. (Early English Text Society [original series]; No. 284). London, UK: Oxford University Press. Millett, B. (2013). Can there be such a thing as an anchoritic rule? In C. Innes-Parker, & N. Kukita Yoshikawa (Eds. ), Anchoritism in the Middle Ages: Texts and Traditions (pp. 11-30). (Religion and Culture in the Middle Ages). Cardiff, GB: University of Wales Press. Millett, B. (2013). Whatever happened to electronic editing? In V. Gillespie, & A. Hudson (Eds. ), Probable Truth: Editing Medieval Texts from Britain in the Twenty-First Century (pp. 39-54). (Texts and Transitions; No. TT 5). Turnhout, BE: Brepols. Millett, B. (2012). Scribal geography. In E. Treharne, O. da Rold, & M. Swan (Eds. ), New Medieval Literatures 13 (pp. 183-197). Turnhout, BE: Brepols. Millett, B. (2010). Change and continuity: the English sermon before 1250. In E. Treharne, & G. Walker (Eds. ), The Oxford Handbook of Medieval Literature in English (pp. 221-239). (Oxford Handbooks of Literature). Oxford, GB: Oxford University Press. Millett, B. (2009). The 'Conditions of Eligibility' in 'The Wohunge of ure Lauerd'. In S. M. Chewning (Ed. ), The Milieu and Context of the Wooing Group (Religion and Culture in the Middle Ages). Cardiff, UK: University of Wales Press. Millett, B. (2008). 'He speaks to me as if I was a public meeting': rhetoric and audience in the works of the Ancrene Wisse Group. In L. H. McAvoy (Ed. ), Rhetoric of the Anchorhold: Space, Place and Body within the Discourses of Enclosure (pp. 50-65). (Religion and Culture in the Middle Ages). Cardiff, UK: University of Wales Press. Millett, B. (2007). The pastoral context of the Trinity and Lambeth homilies. In W. Scase (Ed. ), Essays in Manuscript Geography: Vernacular Manuscripts of the English West Midlands from the Conquest to the Sixteenth Century (pp. 43-64). (Medieval Texts and Cultures of Northern Europe; No. TCNE 10). Turnhout, Belgium: Brepols. Millett, B. (2005). The discontinuity of English prose: structural innovation in the Lambeth and Trinity homilies. In A. Oizumi, J. Fisiak, & J. Scahill (Eds. ), Text and Language in Medieval English Prose: A Festschrift for Tadao Kubouchi (pp. 129-150). (Studies in English Medieval Language and Literature; No. 12). Frankfurt, Germany: Peter Lang. Millett, B. (2004). The Ancrene Wisse Group. In A. S. G. Edwards (Ed. ), A Companion to Middle English prose (pp. 1-17). Woodbridge, UK: Boydell & Brewer. Millett, B. (2003). The genre of Ancrene Wisse. In Y. Wada (Ed. ), A Companion to Ancrene Wisse (pp. 29-44). Woodbridge: Boydell & Brewer. Millett, B. (2000). Ancrene Wisse and the Book of Hours. In D. Renevey, & C. Whitehead (Eds. ), Writing Religious Women: Female Spiritual and Textual Practices in Late Medieval England (pp. 21-40). Cardiff, UK: University of Wales Press. Millett, B. (1997). Women in No Man's Land: English recluses and the development of vernacular literature in the twelfth and thirteenth centuries. In C. M. Meale (Ed. ), Women and Literature in Britain, 1150-1500 [2nd edition] (pp. 86-103). (Cambridge Studies in Medieval Literature; No. 17). Cambridge, UK: Cambridge University Press. Millett, B. (1994). Mouvance and the medieval author: re-editing Ancrene Wisse. In A. J. Minnis (Ed. ), Late-Medieval Religious Texts and their Transmission: Essays in Honour of A.I. Doyle (pp. 9-20). (York Manuscripts Conference: Proceedings Series; No. III). Cambridge, UK: D.S. Brewer. Millett, B. (1983). Hali Meithhad, Sawles Warde, and the continuity of English prose. In E. G. Stanley, & D. Gray (Eds. ), Five Hundred Years of Words and Sounds: a Festschrift for Eric Dobson (pp. 100-114). Cambridge, UK: D.S. Brewer. Millett, B. (1985). Chaucer, Lollius, and the medieval theory of authorship. In P. Strohm, & T. J. Heffernan (Eds. ), Studies in the Age of Chaucer, Proceedings, No. 1, 1984: Reconstructing Chaucer (pp. 93-103). (Studies in the Age of Chaucer, Proceedings; No. 1). Knoxville, USA: New Chaucer Society.